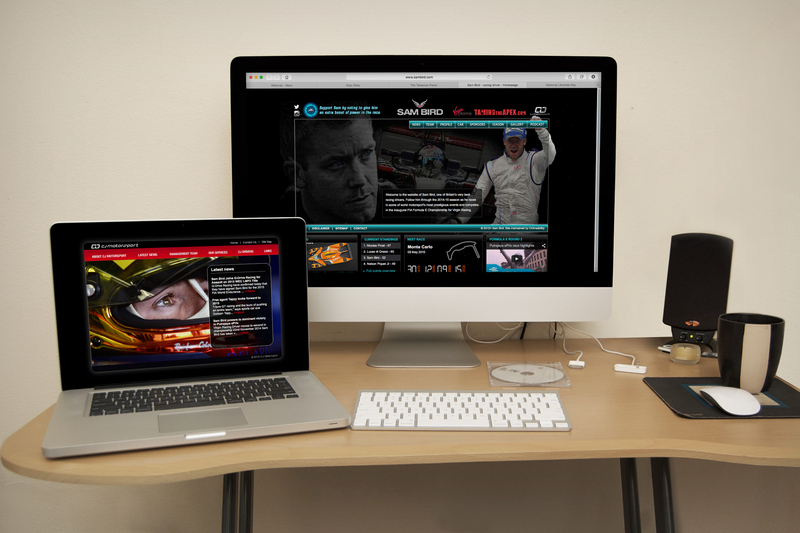 Project type: content management, motorsport, website management. Sam Bird is one of the most exciting talents in British motorsport and is currently starring in both LMP2 endurance racing and the ground-breaking electric racing series Formula E. Previously he was the runner-up in the GP2 championship, and the test and reserve driver for Mercedes Petronas F1 Team. His website, which carries regular reports of his race performances, should provide an essential resource for fans who want to keep up with his career. Our brief on taking over management of Sam’s site was update the existing design to reflect his needs for each season. We did this with new photography and branding suggesting his team livery as well as integrating a podcast feature. We also keep it up to date from race to race, adding galleries, multimedia and written content. We are also responsible for updating the website of his managers, CJ Motorsport.